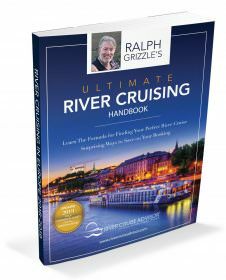 You are here: Home / Destinations / Egypt / Are River Cruises On The Nile Dead or Alive? 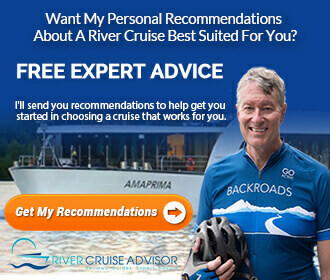 Are River Cruises On The Nile Dead or Alive? There was once a time when nearly every river cruise line offered river cruise journeys along Egypt’s Nile River. After the events of the Arab Spring in 2011, most companies moved to cancel their river cruises in the region, citing security issues and lack of demand. Nearly six years later, the region still hasn’t recovered – but there are soft signs that might be changing. Viking’s 2017 Nile itinerary is a good one – but will the line offer it? Illustration courtesy of Viking River Cruises. Uniworld Boutique River Cruise Collection quietly slipped in an entire season of river cruises on the Nile for this coming year and 2018, with its 12-day Splendours of Egypt and the Nile voyage. Departing roundtrip from Cairo, the first sailing begins on January 14, 2017 aboard River Tosca and runs right through into 2018. Viking River Cruises also seems to want to go back to the region, but hasn’t quite committed as heavily as Uniworld has. Viking has a page up on its website detailing its Pathways of the Pharos cruisetour itinerary. At 12 days in length, this journey operates roundtrip from Cairo and combines a four-night river cruise on the Nile with a three-night voyage on Lake Nasser and three addition nights in Cairo at a hotel. The itinerary says 2017. The information provided is current. But no sailing dates or prices are available on the line’s website. Still, some lines that used to do Egypt haven’t planned on returning – yet. 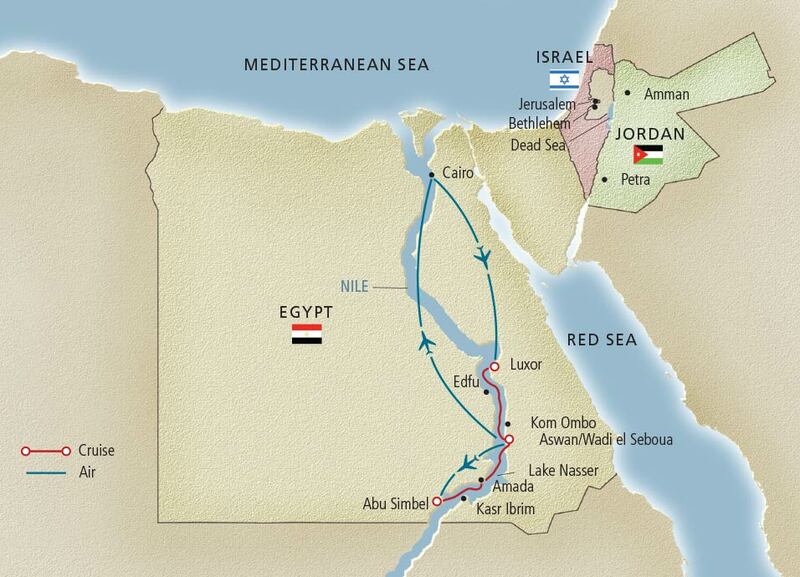 This includes Avalon Waterways, which used to offer some excellent cruise-tour itineraries along the Nile. While a Google search will redirect you to the appropriate Nile pages on Avalon’s website, no sailings are scheduled or available for booking. If you want to do the Nile, tour companies like Abercrombie & Kent have excellent cruisetour packages that run throughout 2017 that could be well worth looking into. Global Affairs Canada advises against non-essential travel to Egypt due to the unpredictable security situation. This advisory does not apply to the Red Sea coastal resorts of Hurghada (and its surroundings) and Sharm el-Sheikh, nor to the area from Luxor to Aswan along the upper Nile, where you should exercise a high degree of caution. If you decide to travel to Egypt despite this advisory, plan your trip with a reputable Egyptian travel company or agency, as they are are well informed of the security situation and can better plan accordingly. Since most, if not all, river cruise tours operate in Cairo and the area between Luxor and Aswan, travel to Egypt should be relatively safe if the proper precautions are taken. The Canadian Government’s advice about utilising a reputable company is particularly noteworthy. If you’re taking a tour put on by Uniworld or A&K, you can have more assurance that they have looked into and have arranged for the appropriate security details. No destination is 100 percent safe; just look at how many people have been shot in Chicago this year (it’s up to 4,188 people as of this writing.) But it’s good to see the Nile – and Egypt – begin to turn a very important corner; one that could potentially see the number of tourists flock to see the country’s ancient historic sites in greater numbers very soon. We took a Nile River cruise in 2013 and there we only two cruise ships on the river between Aswan and Luxor. It was eerie to be on a luxury ship that normally holds 150 plus, with only our traveling companions and about 25 eastern Europeans and Russians. Needless to say, there were no lines in the Valley of the Gods or the Luxor Temple. We booked through Ramses in Egypt on the Movenpick luxury cruise ship for a pittance and were entertained lavishly. An absolute fantastic experience. I hope the Nile River cruises come back to there former glory.